Kill the Stigma and Encourage other Struggling Veterans through my story of recovery. Help me carry the Silently Fallen Flag to the top of the Highest Mountains in the World along with the top of each of our 50 States. I have everything I own invested into this endeavor (over $120k), but now I need your help to continue and complete what we have started. My Full Finacial Disclosure is Available upon Request. 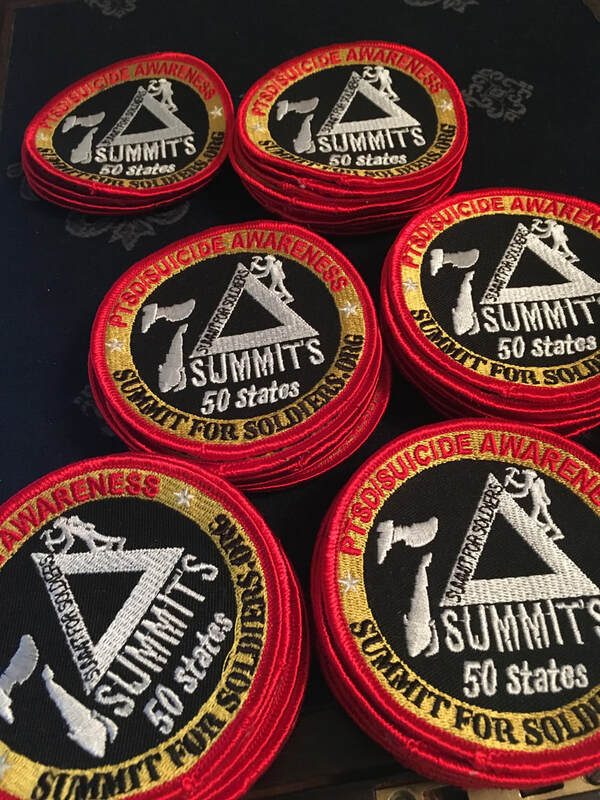 CHECK or MONEY ORDER: If you would like to make a contribution by check, please contact me at mike@summitforsoldiers.org for info and mailing address. Additionally, what the patch and posts mean is that you are committed to lend a ready ear or hand to those who may need it.